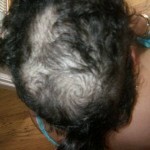 Our systems for Alopecias and hair loss. The Medic-volumizer is quite a unique system which was developed by the director of TAS. It involves a mesh being placed over the area affected, fitted with anyone of our 5 different methods, based on what we consider is a better fit for our clients hair condition, followed by hair similar to the clients own being woven into the mesh. The benefits of this method is that the client can change their image if they so wish. The hair that is woven into the mesh, doesn’t always have to be similar to the clients own hair, it can be different in: color, length and parting. The choice is yours! This can have a huge impact of the confidence of the client, while at the same time offering a realistic look that is undetectable to the eye and by touch. It allows the client to enter a new period of their life, or a “new lease of life” as some clients like to put it. Please note that with Medic-volumizer you do not need to shave or cut your existing hair, your hair will grow underneath. * We have greatly improved this system in comparison to other hair loss clinics, where most of the volumizer is done with just with rows of wefted hair and a far too small parting. At TAS the process is similar but we pay much more attention to the front of the hair, each hair is knotted by hand for the most part of the front area and the parting, making sure that that it looks undetectable, just like a real head of full healthy hair. The TAS’s success is based on the realistic looks and great quality of hair. This is a wonderful undetectable customized hair system that can be created specifically for you, without the inconvenience of you taking the whole day off. How this works is, we produce a mould of your head shape, and from that we create a state of the art hair piece, that is designed to fill all the gaps in the affected areas on the scalp. We choose the materials that we use for the system, according to our clients lifestyle and type of scalp, we then craft the hair piece by hand, hair by hair, on a base that is identical to the clients scalp. Once this is completed we fit the hair piece onto the clients head and blend their existing hair into the hair piece using the finest anchor points. The results are incredible! The hair piece blends perfectly with your existing hair in such a way that no one notices that it is in fact a hair piece! Even at a close look, the hair piece will look as if it is real hair growing from your own scalp. Using this method, you can change your whole appearance in less than 2 hours. 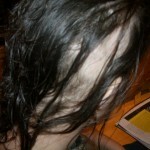 -You do not need to shave or cut your existing hair. When your own hair has grown you can take it off forever or just keep in using it. -Completely Undetectable, breathable, lightweight and versatile. This is a system designed for very severe or/and old Alopecia conditions, with extensive hair loss or loss of frontal hair line. 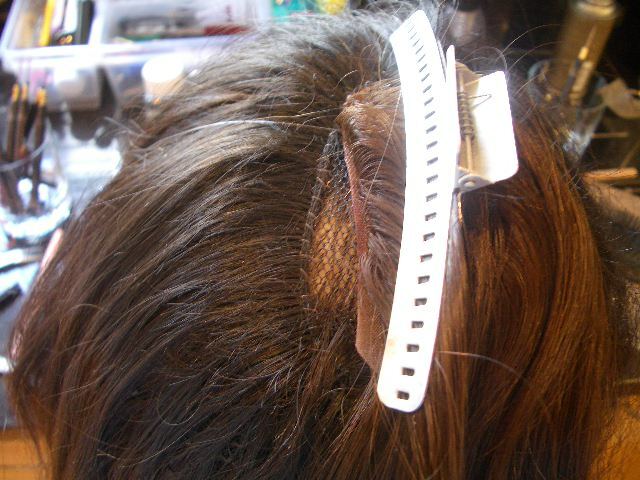 We produce full of partial systems using a smart combination of fine scalp blend materials, that can be attached, using several methods, into the gaps or parimeter of the clients head. This is the most undetectable system of them all. 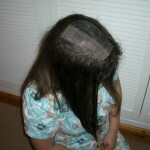 If your hair loss is quite extensive and there is a large area of scalp exposure, this is really a fabulous solution. With this system, the days of waking up feeling upset over your hair will be long gone, instead it will be replaced with the look gained from having your hair styled at a salon everyday. Using this system you can swim, wash, or even drive in a top down car if you so desire. This system can require more than one type of hair attachment, making it more comfortable and undetectable. Reattachments, if in need: every 6 weeks £120 but most people will be able to do themselves. The secret is a maxi discreet & light piece 100% undetectable, only done after we make a template of your head areas to cover. 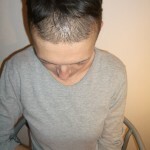 Trichotillomania solutions- we can guarantee that with our systems in place, you will be pull free. We think that having good self-esteem and confidence can become a stepping stone into helping our clients stop their hair pulling behavior. This is why we have developed a technique to make you feel good at the same time that your hair is growing healthier and stronger underneath our systems. By working on a specific area, your existing hair is incorporated into the desired hair style, with your own healthy hair intermingling with the hair in the system, for 100% naturalness and un-detectability. This is a cosmetic barrier put in place to make it impossible for your hands to access your hair. It is a unique system developed by the director of TSA where a mesh is placed all over the affected area, fitted with anchors points and then hair, similar to the clients own or whatever length and color the client desires, is fitted/woven into the mesh. This means you can completely recreate your look, the client can come in as themselves, and leave with luscious Cheryl Cole locks. 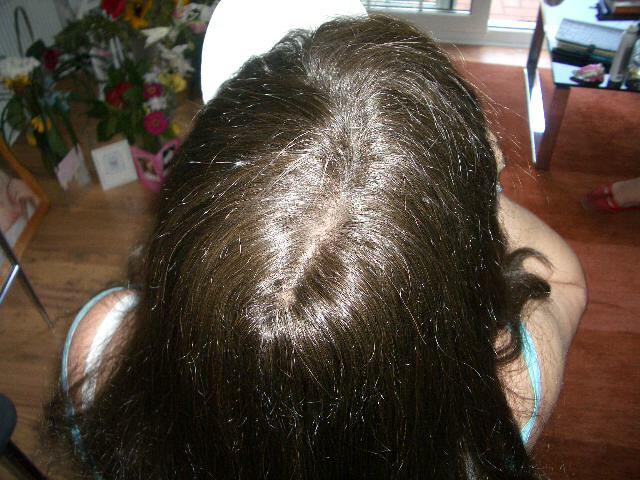 The impact of this system on women effected by Tricho is huge, as usually they can restore confidence instantly while at the same time, it offers a barrier over the real hair meaning it wont be pulled out. It is a beautiful, pretty way of stopping hair pulling behaviours. -You do not need to shave or cut your existing hair and even when your hair grows underneath you can use the TRICHOINTEGRATION forever!!! We have greatly improved this system in comparison to other hair loss clinics, where most of the volumizer is done with just with rows of wefted hair and a far too small parting. At TAS the process is similar but we pay much more attention to the front of the hair, each hair is knotted by hand for the most part of the front area and the parting, making sure that that it looks undetectable, just like a real head of full healthy hair. The TAS’s success is based on the realistic looks and great quality of hair. This is a wonderful undetectable customized hair system that can be created specifically for you, without the inconvenience of you taking the whole day off. How this works is, we produce a mould of your head shape, and from that we create a state of the art hair piece, that is designed to fill all the gaps in the affected areas on the scalp. We choose the materials that we use for the system, according to our clients lifestyle and type of scalp, we then craft the hair piece by hand, hair by hair, on a base that is identical to the clients scalp. Once this is completed we fit the hair piece onto the clients head and blend their existing hair into the hair piece using the finest anchor points. The results are incredible! The hair piece blends perfectly with your existing hair in such a way that no one notices that it is in fact a hair piece! 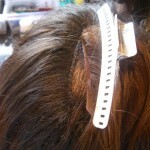 Even at a close look, the hair piece will look as if it is real hair growing from your own scalp. Using this method, you can change your whole appearance in less than 2 hours! You do not need to shave or cut your existing hair and when your own hair has grown you can take it off forever or keep using it. Just a few words about the Medic volumizer & trichointegration systems. Some of our new clients come from London clinics where they have paid exorbitant fees at just the starting price, although we respect the clinics decisions, we feel that those prices take advantage of Tricho-Alopecia clients. At TAS we don’t like to use complicated futuristic pseudo terminology to make clients feel like its okay to ask for the high fees. TAS possessed qualified wigmakers and extension masters, as well as wigmaker tutors. We are up to date, every day, with the latest innovation in hair, and we use only the best possible quality systems and materials, and have improved the volumizer system greatly, while still maintaining the underlying principle. We also work for leading hairdressers, and the high priced hair loss clinics resell our bespoke systems. We also have many contacts with former hair clinic employees and together have come to the understanding that the the clinics use the fact they they spend 8 hours on one persons hair to justify those high prices. However it is a known fact that between the consultation and the day of the appointment, any hair expert should have taken the time to pre-prepare their systems so that on the day their clients don’t have to waste 8 hours sitting in a chair, that is not how we do it here at TAS. Think about it this way, for example, on your wedding day, the dress maker receives the final delivery of materials, but calls you in and makes the dress on you rather than preparing it before… its just not right, is it? We will take measurements (head mould) on the consultation day. This enables us to work on the clients hair system from the get go, and have it fitted within the week. Our transformations at TAS only take up to 3 hours, they look amazing and are such great quality and natural looking. 1. It seems like the same system, what is different? The difference is in the way the systems are fitted. 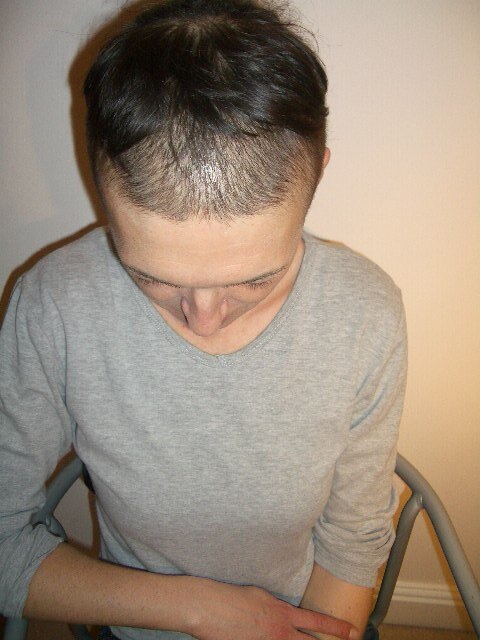 For a person with alopecia, we have the possibility of choosing from a variety of methods. Whereas a person with a Tricho condition that wishes to re-grow their hair will have to go for a semi permanent attachment method for which the system becomes a barrier to the clients hands from the second it is fitted. 2. Will I look natural? Completely natural! This is due to the fact that we use the best hairs possible, which come from the same ethnic origin of our client, and also have perfectly placed partings. We have hundreds and hundreds of happy clients thanks to our use of the best hairs in the world, not to mention our extensive education and experience. 3. It is similar to a toupee? Not at all! You can not remove the hair systems when you shower or go to bed, and you don’t need to either! It is a method that integrates your existing hair into the hair systems, using delicate techniques and highly skilled work. The results produce the most natural of looks! 4. What medical conditions are these system recommended for? Any short term or permanent condition. We never use heat, glue, braids, keratin-glue or anything that will over-pull or damage your hair. The main conditions are listed below. 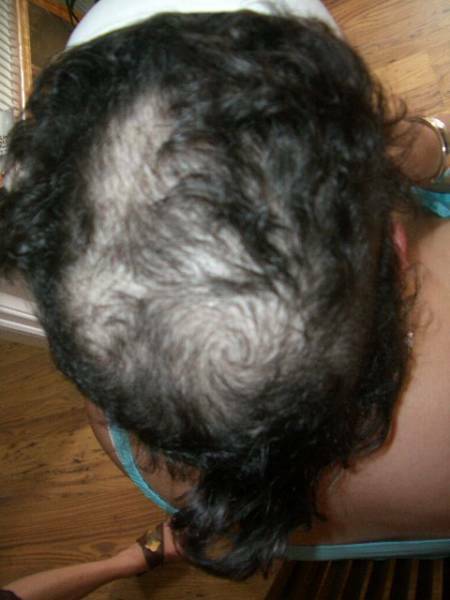 - Androgenetic Alopecia or Genetic thinning: often referred as male or female pattern baldness. 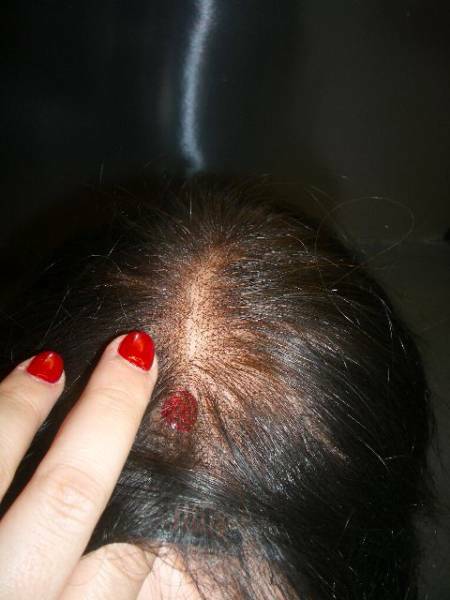 It is very common and usually attributed to genetic factors; can often be "patchy" in one or two areas of the head. -Alopecia: can be caused my many things such as weaves, human hair extensions, heredity conditions, emotional stress, badly glued wigs, drugs side effects, brain surgery cancer treatments, cosmetic surgery and other unknown conditions. 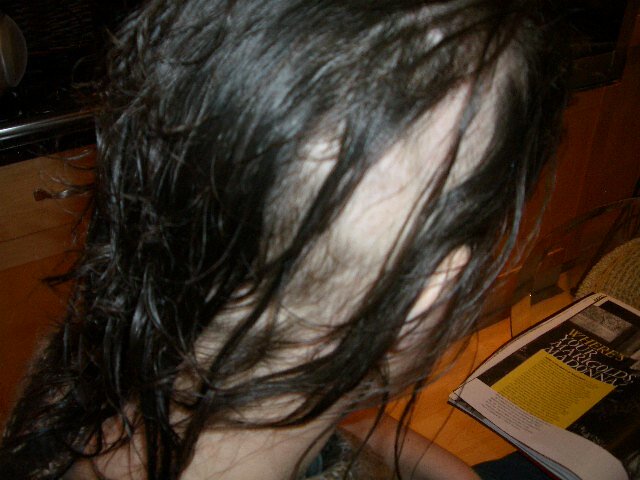 -Trichotillomania: this is where damage or loss of hair is caused by compulsive hair-pulling and twisting, with increased severity during times of emotional stress. Our system is particularly effective here because pulling at our system won’t give you the same "sensation" as pulling out your own hair. We also find that, because clients have invested hard-earned money in the system, they’re less likely to pull! Using the system temporarily gives your natural hair "a rest", allowing unhindered re-growth and renewal of your own hair. 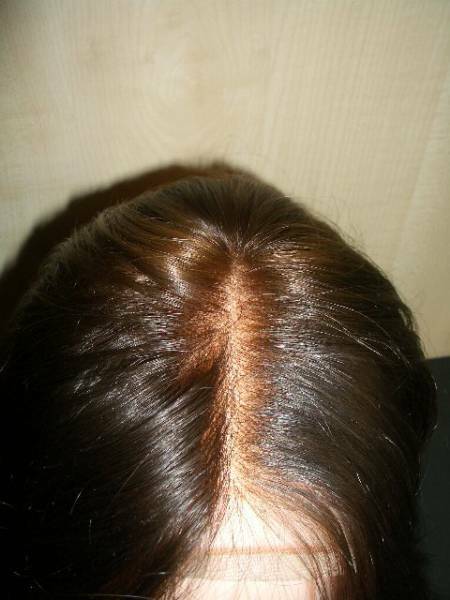 When some people have full over-fine hair, many sections of the scalp appear to be clearly visible. Depending on the client’s personal case, we will decide what will be the best possible solution. Caused by domestic hairdressing chemicals such as color, perms, it is extremely common in Afro Caribbean hairs. 5. How much hair do I need to have for you to work with me? Any amount! Whether you have almost no hair at all or you have hair all over! We consider which hair integration system is best for your hair and we build links between the existing hair and our integration. In fact, we feel that hair replacement systems, when you have less amount of hair, are easier for the client. It doesn’t compromise comfortability, the possibilities are endless. 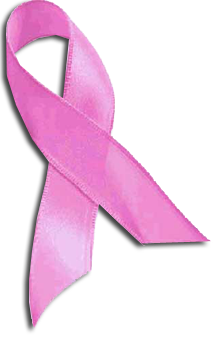 In any case, the systems will be designed to be undetectable and absolutely natural. None of our systems are "stuck on" your head. Instead, we use a combination of the finest hypoallergenic net and extremely delicate and expert crafted anchor points. Our team has many years of experience in the application of these finest anchor points, we don’t use weaves, glue or stitches ….your hair is our priority. 6. Which kind of hair do you use? We will only use the most quality hairs from our clients own ethnic origin, that are 100% Remy and virgin. In some cases clients have given us their own hairs and we have used them, so that is a possibility also. The reason behind our success falls in the hands of our finest Russian, European, South American and Indian hairs. Rosa is one of the few hair collectors that is still active today!! 7. Will this or any of your systems damage my existing hair? 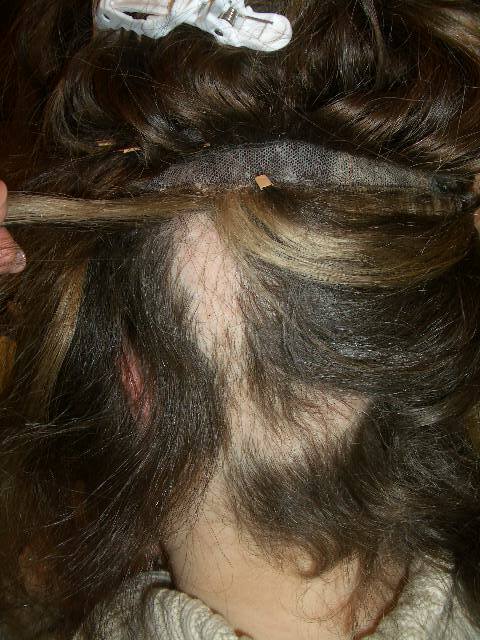 The care, breathing ability and rest, of your remaining hairs that lay underneath our systems is a big priority. Our hair replacement has been around for over 13 years, in many, many cases we have removed our hair systems only to discover a healthy mane of new hairs underneath, and although we can not explain scientifically why (unless the client had Tricho) we believe that the good emotional effect of the hair systems has a lot to do with it. In many cases some clients have not felt the need to use any further systems because of the hair growth, which makes us and them very happy. 8. Can I swim, sunbed, walk in the rain or walk in a windy day? Yes, yes and yes. You wont have to worry, your system wont be damaged or fly away even in a roofless car at 100mph. 9. Who is the person behind all? Rosa is the artistic director of Tricho-Alopecia Solutions and the UK wig school; she is an official UK wigmaker and a tutor in the subject. Rosa has and still does travel the world, teaching and achieving education using the latest techniques. She has improved many of the central London: voluminizer, enhancement and hair systems by far, and has hundreds of happy clients. 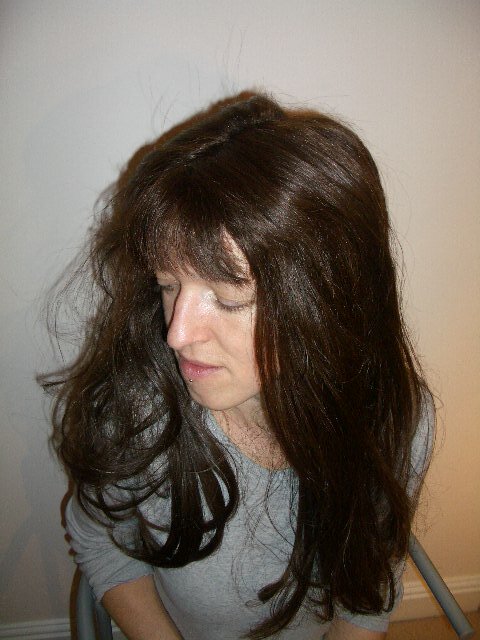 Our company manufactures wigs and hairpieces for many leading central London clinics which then mark up their prices to their own discretion. Rosa collects the hairs worldwide making sure they are the finest and best quality possible; ‘second best’ is not in her vocabulary. She has a worldwide reputation with clients coming from all over the globe hence why she has so many students for her wig making & hair replacement techniques classes. 10. What is this method exactly? We place a fine yet durable hypoallergenic mesh as a base to act as a "scalp", this mesh will cover the areas in need and it is 100% breathable and light. 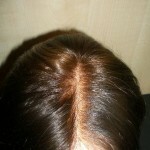 We attach it with completely undetectable micro anchor points respecting your existing hairs. And finally we recreate a perfect parting. We can even improve the appearance by adding more color or length!! All the work is based on integrating the existing surrounding hairs into the “new scalp” to make it feel like your own one. With this technique you will be able to achieve almost any hair style you desire, and we will match your same color hair, or different if you wish, with all the necessary highlights. Because of our quality you will be able to wash & restyle your new hair at home, as you desire, including coloring. The system doesn’t leave residue or any mess; actually after a few months you may even feel that you don’t need it any more. Our systems are not heavy and not even your partner will be able to notice. You will be able to wash and style your hair as you wish, this system requires no special products at all, good quality hair needs the same products you may be currently using, we don’t sell you anything you don’t need, all you will have to do is follow some guidelines for when washing or conditioning your hair. 11. Will my scalp & parting look real? At TAS we have the best of the best partings in the world; our own designs are highly improved on existing ones because they are not in a standardized size. No one else uses our partings as are exclusive to us and of course you will be able to see your scalp through out the parting. 12. How long it is the fitting? It depends on how big is the area is to treat, but we will be able to let you know in the consultation. We pre-prepare the system so that you don’t have to spend 8 hours in the salon waiting. In the consultation we can prepare a template of your head. We feel that some salons decide to do the whole system with you on site, so that they can justify asking for higher prices; it is absolutely absurd as a real professional will be able to do 70% of the work before hand. Average time is about 3 hours and refitting should take place every 6 weeks, which could last from any time between 45 min. to 2 hours. 13. How do you maintain it? Every 6 weeks you will need reattachment of the system. This is because your own hair grows and the system is attached to the base of your hair, so it grows out as your hair grows, therefore needing adjustment. At the same time we examine the condition of your hair underneath. 14. How long does it last? Between a year to 3 years, depending, of course, on how well you look after your hair system. 15. What is the difference between this system and the others that you speak about on this page? 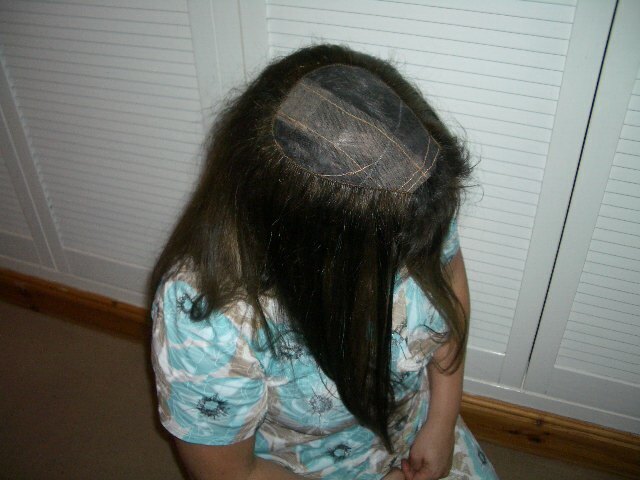 The medic volumizer or Trichointregration are bespoke and affordable hair systems, which combine a breathable, light and non-allergic mesh with hair extensions, you own hair and a realistic parting. They have a much more realistic look. With the Trichointregration we will make sure the fine anchor points will be much closer, to act as a successful barrier for your hands too. 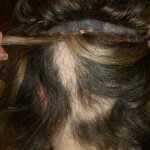 These 2 methods need to be removed every 6 months to assess the state of you hair underneath and perhaps be removed forever! This system can be done usually within one week from consultation. The secret hair systems and the medic piece are state of the art hair systems. The designs usually blends 3 different kinds of undetectable materials, and are only made after taking a perfect template of your head and hairline. In these systems, all the hairs at the base are knotted all over, one by one in a base foundation that replicates your own scalp. They can be removed (or not) at night or when showering. 16. I am confused, so which method will be ideal for me? The answer will be determined on the consultation day. 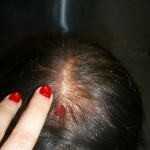 We need to know the cause of your hair loss, the damage caused, your lifestyle and your wishes. Only then could we advise you of at least 2 system choices. You will be able to try some of our samples systems too. 17. Will I feel pressure to purchase or become committed in the consultation? Not at all, after the consultation we will always advice you to go and think about it, we will never give you second calls or email you, any important decision like this requires time to think. 18. Do you have a hair salon? No and we never will, there is no need. 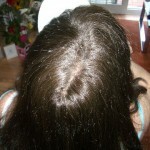 We only operate by appointment in Central London leading salons, hair loss clinics or sometimes at our client’s homes. 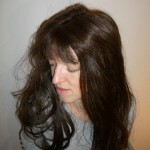 We are independent wigmakers and hair extension professionals and we manufacture for hair loss clinics too. We decided a long time ago not to open a salon, that way the cost stay down, and if our clients are happy, we are happy too. Call us for an appointment in one of the many salons that we collaborate with in London. You will be treated with maximum discretion. 19. How can I pay TAS? We ask for 30% of the quote price as a deposit and the balance on the appointment fitting day. We do not accept cheques. © 2010 - Trichoalopeciasolutions - All Rights Reserved.